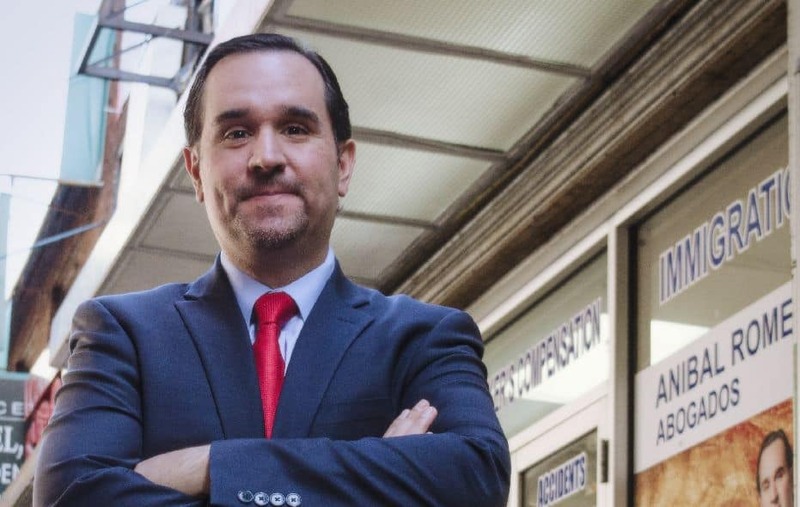 Attorney Anibal Romero is committed to each of his clients and cases; ensuring that each of his offices possesses the same level of quality and passion that he personally strives to achieve. The Romero Firm team guarantees a service of excellent quality and the highest professionalism. Before launching his own law firm, Attorney Romero worked at the prestigious law firm of Dewey & Leboeuf, where he was in charge of the contractual area for multinational clients. In 2009, he established the first office of The Romero Firm in Newark, New Jersey, with the objective of providing representation services to the community and helping them through the immigration process. Ms. Seham K. Elmalak is the Managing Attorney at the Romero Firm Newark location. She has experience representing detained and non-detained clients in immigration matters, including removal defense, asylum, family-based petitions, cancellation of removal, adjustment of status and naturalization applications. Ms. Elmalak also has experience handling municipal, criminal and family court matters. Ms. Elmalak’s passion and drive to practice immigration law is rooted in her own immigration story. She was born in Cairo, Egypt and later became a naturalized citizen of the United States. Thus, she has firsthand experience in all phases of the immigration and naturalization process. Ms. Elmalak strives to provide quality representation and help clients navigate through the complicated and ever-changing immigration process. Ms. Elmalak is a graduate of Elisabeth Haub School of Law at Pace University, where she participated in the school’s Immigration Justice Clinic, received a certificate in International Law and served as Articles Editor of the Pace Law Review and a team member of the Willem C. Vis International Commercial Arbitration Moot. Ms. Elmalak is a member of the New Jersey State Bar Association and the New Jersey and New York chapters of the American Immigration Lawyers Association (AILA). She serves on the New Members Division Committee and the Law Student Liaison Committee of the New Jersey Chapter, as well as the Citizenship Day Committee of the New York Chapter. Ms. Elmalak is an attorney licensed in New Jersey and New York. She speaks Arabic and has a working knowledge of Spanish. Doris Urena Vasquez is an associate attorney at the The Romero Firm. She is licensed to practice in the State of New Jersey. She earned her Juris Doctor from Seton Hall University School of Law in Newark. She pursued a double major in Political Science and Psychology and minored in Labor Studies with a concentration in Law and the Workplace at Rutgers University in New Brunswick. Prior to becoming a lawyer, she volunteered for North New Jersey Legal Services aiding low-income families and maintained several legal internships where she amassed incredible knowledge and experience in many areas of the law. She also participated in several workshops, speaking publicly to inform immigrant communities about their immigration rights and other relevant legal topics. She has always been very passionate about helping those in need. She is well-rounded and has experience with a variety of legal practice areas, including but not limited to, immigration, family, municipal, and criminal matters. Her goal is to provide quality representation while maintaining a professional and ethical relationship with her clients. Cassandre Lamarre is a Haitian-American attorney with over sixteen years of legal experience. She joins The Romero Firm as Of Counsel and practices in the firms Newark office. Her areas of practice range from immigration, criminal defense and real estate. Born and raised in New York, Cassandre attended Virginia Commonwealth University and received her Bachelor of Arts in English. She later received her Juris Doctorate from Seton Hall University School of Law. After graduating from law school, she clerked for the Honorable Anthony J. Mellaci Jr. in Monmouth County, criminal division. She currently holds a position as Assistant Public Defender with the Newark Municipal Court Public Defenders Office. Cassandre has always had a passion for immigration law and the immigration community. She has managed her own practice, and also held the position of Managing attorney in a general practice firm. She has successfully represented numerous clients in removal and asylum proceedings as well as adjustment petitions. She has represented both Buyers and Sellers in real estate closings and assists clients in resolving foreclosure matters. As a Public Defender she has developed a vast knowledge in criminal defense and traffic related matters. Cassandre’s goalas an attorney is to provide the most honest and effective legal representation possible. She wants her clients to feel confident in the knowledge that she genuinely cares about their case and will work diligently for them. David Guerrero is an Ecuadorian-American who was raised in Ecuador. He graduated from high school in Ecuador. Mr. Guerrero returned to the United States at age 17. He studied Information and Communications Technology at Rutgers University. Mr. Guerrero started working in immigration as a part-time job during the summer of 2009. Since then he has been working for The Romero Firm with almost a decade of experience in immigration. Dulce Mendoza is a Peruvian-American who was raised in New Jersey. She graduated high school from Thomas Jefferson Arts Academy in Elizabeth. Ms. Mendoza is currently a student at Kean University majoring in Criminal Justice and minoring in Psychology. It was when Ms. Mendoza was in Union County College studying to become a Paralegal that she found her passion for immigration law and coming from a family of immigrants only fueled her passion to help immigrants from her community. Ms. Mendoza has worked as an Immigration paralegal for four years. In her spare time, she volunteers at the Friends of Linden Animal Shelter. Ms. Jessica Mejia was born in Ecuador and immigrated to the United States at an early age along with her family. She completed her University studies obtaining her degree in Criminal Justice. She has spent over eight years working in the immigration field, a field with which she feels a deep connection as she comes from an immigrant family. Throughout these years, Ms. Mejia has developed an extensive knowledge and thorough understanding of the immigration practice. She has been an integral part of the Romero Firm for over five years. Ms. Mejia dedicates her free time volunteering with various nonprofit entities and by participating and assisting in her community. Attorney Orejuela has a wide range of experience in immigration issues, including non-immigrant visas, labor certification applications and autonomous, family or employment-based migratory appeals. She graduated from Seton Hall University in 2012 with a degree in Humanities before joining the Law School of the same university, from which she graduated in 2015. Ms. Orejuela is enrolled in the New York State Bar Association Sweater. Ms. Orejuela has served as a legal intern in the Office of the General Counsel of the Executive Office of Immigration Review of the United States Department of Justice. As an office manager at The Romero Firm, Nel is both diligent and committed to his position. Nel joined the firm in 2017 after 10 years of serving as a Consular Agent and Coordinator at the Ecuadorian Consulate and the National Assembly of Ecuador in New York, respectively. Nel has participated in different social organizations as an activist and leader in favor of the rights of the immigrants and other social causes. He obtained a BBA from Baruch College in 2014, where he reinforced his professional skills. At The Romero Firm, Nel uses all his expertise to ensure the success of our clients. Ms. Araniva joined The Romero Firm in 2017 as a paralegal at our Union City office. She is currently studying at the University of New Jersey City and is pursuing her bachelor’s degree in Criminal Justice. Brenda emigrated from El Salvador to the United States when she was 10 years old, going through the migrant experience like many of our customers. In our firm, Brenda brings her academic experience and social sensitivity, connecting us more to our clients. Eliset graduated from the University of Havana, Cuba School of Law in 2012. Immediately after graduation, she worked at Havana’s Provincial Prosecutor Office. Upon her arrival to the United States in 2015, she discovered her passion for immigration law when she started working as a paralegal for an Immigration Law Firm in Falls Church, Virginia. She hopes to get her attorney’s license in the United States in the future to continue helping immigrants like herself to achieve their American dream. Robert C. Ulon is the Managing Attorney of our Manhattan office. Represents clients seeking asylum or cancellation of the expulsion order in the immigration courts of New York and New Jersey. In addition, attorney Ulon has represented clients in administrative cases before the USCIS, in criminal courts and in family matters. While in law school, he was a member of the Urban Legal Clinic of Rutgers-Newark Law School and the Constitutional Litigation Clinic. His experience with the law includes an internship with the Criminal Division of the Superior Court of New Jersey in Passaic County. Eugenia Mendoza is a Colombian attorney licensed to practice law in the State of New York and admitted to Federal Court in the Eastern District of New York. She holds the Managing attorney position in our Corona Queens Office. After practicing many years as an attorney in Colombia, Eugenia Mendoza obtained her Master of Law from Pace Law School, and she has been working in the United States in Immigration, Family and Matrimonial Law, Real Estate, Criminal Law and Personal Injury. Sebastian Harley graduated from the University of Massachusetts Law in 2013, where he specialized in immigration law. He is licensed in Massachusetts and is certified to practice in all Immigration Courts nationwide, the 1st Circuit Court of Appeals and the United States Supreme Court. Having joined The Romero Firm in July 2018, Attorney Pierce is committed to promoting and protecting the values of social justice as a driven leader in immigration and nationality law. He has legal experience serving a diverse array of clients, including non-governmental organizations, immigrant families, and indigenous communities in Central America. Attorney Pierce believes self-understanding and relating to other cultures are key to being influential within the diverse, immigrant communities he serves in New York City. Magybet Mendez Fuentes is Paralegal in the Los Angeles office, California. In 2013 she received a paralegal study certification at Los Angeles Valley College. In 2013, she began working in the private area in cases of Immigration, including with detained immigrants. Prior to joining The Romero Firm office, in 2016, Magybet focused on immigrant rights and low-income community service in the San Fernando Valley area as an Immigration Specialist with the Mexican National Brotherhood. During her free time she dedicate her time to help the community. She was recognized by Miguel Santiago member of the assembly, Paul Krekorian member of the Council and José Huizar member of the Council in his district for her dedication to social causes. She was also part of the Pro-Bono group of workers’ rights at Neighborhood Legal Services. She returned in May 2018 to the private practice of Immigration law with the office The Romero Firm. Contact one of our branches today to find out how we can help you with your legal problems.